Charged when a student cancels or is not present at a scheduled visit and has not provided more than 24 hours notice of cancellation. Charged when student requests replacement of learning material which has already been issued or provided. Charged when a student submits a unit of competency for reassessment which has previously been assessed as Not yet Competent on 2 prior occasions. Charged when a student requests the reissue of a qualification which has already been issued or provided. Charged when a student requests the reissue of a Statement of Attainment which has already been issued or provided. * Items marked as “Not Ascertainable” are regarded as such due to the significant variations in place for individual students and individual enrolments. For those items marked as “Not Ascertainable” the student may request a written quote prior to the provision of the services and will not be held liable for these services until they receive a written quote. 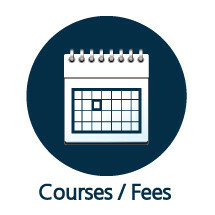 If ASTC cancels a course in which you have enrolled and paid fees, a full refund of all fees will be provided. If you withdraw before the invoice due date of relevant fees, a refund will be granted. To receive a refund you must have paid for the fees and submitted a completed Refund form to ASTC Student Services or notified ASTC Student Services in writing that you wish to withdraw from your study before the invoice due date. Under exceptional circumstances, ASTC may give a refund after the invoice due date. You are required to apply for this refund in writing and provide relevant documentary evidence to substantiate your claim. This refund may be adjusted for the period of enrolment already accessed and administrative costs in refund processing. 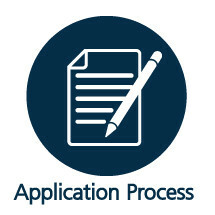 The first step is for ASTC to send a letter of demand to you advising of the dispute and the money outstanding, and give you a defined period within which to settle the matter or else face legal action. A guideline on acceptable and unacceptable debt collection practices is published by the Australian Securities & Investment Commission (ASIC) as ASIC Regulatory Guide 96 - Debt collection guideline: for collectors and creditors. 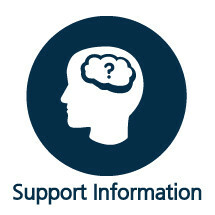 It is available at the ASIC website at www.asic.gov.au. • ignore the letter or respond to it in a way that is unsatisfactory to ASTC. If you agree a compromise with ASTC it is to be or is to be confirmed, in writing to avoid later disputes. (c) contact ASTC to try and reach a settlement agreement – if you do reach an agreement, ACAT must be notified in writing. If you fail to do any of these things within the 21 (or 25) day period, ASTC may file an ‘Application for Default Judgment’ form requesting ACAT to enter a judgment against you. If you do not pay, there are a number of methods of enforcement. ACAT’s order is treated as an order filed in the Magistrates Court and can be enforced under the rules of that Court. The Court may order the sheriff or bailiff to seize and sell your property to satisfy the debt owed to ASTC, or make an order ‘attaching’ your wages or earnings until the debt is paid. An unsuccessful party can appeal a decision by ACAT. The appeal must be lodged within 28 days of the decision (although ACAT can extend the time). 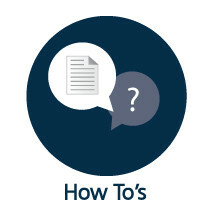 A training pathway refers to the different ways a person can achieve a qualification. 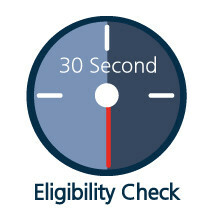 Students who successfully complete their qualification are eligible for a completion payment. A completion payment will be paid directly to the student upon completion of the qualification and a survey. The completion payment is $300 for each qualification. Students will be eligible to receive the completion payment for up to one (1) year after successful completion of the qualification, provided up to date email and bank account details are confirmed. A student is not eligible for a completion payment where more than 50% of the units are completed through RPL and/or credit transfer.